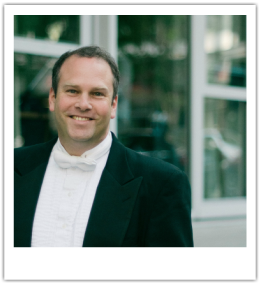 He is currently the music director of the Galiano Ensemble of Victoria , the Victoria Chamber Orchestra and the Greater Victoria Youth Orchestra, and his guest appearances include the Saskatoon Symphony Orchestra, the West Coast Symphony in Vancouver, the Civic Orchestra of Victoria, The Victoria Choral Society and Prima Youth Choir. Also a violist, Yariv Aloni is acclaimed by critics for his “impeccable technical accomplishments, exquisite phrasing and superb viola playing”, and as having “a huge, singing tone and a rare depth and nobility of feeling”. He was a finalist at the François Shapira competition in Tel-Aviv. His awards included the Israel Broadcasting Authority award for chamber music performance and numerous awards and annual scholarships from the American-Israel Cultural foundation. As the violist of both the Aviv and the Penderecki string quartets, he has performed in many concert halls around the world including Lincoln Centre in New York, the Louvre in Paris, Tonhalle in Zurich, and numerous concert halls in Canada, the United States, Germany, Italy, Holland, Mexico, France, Poland and many more. In 1985 he was invited to join Isaac Stern and Pinchas Zuckerman to play a gala concert at Carnegie Hall in New York. Mr. Aloni recorded for the United, Marquise, Tritonus, and CBC labels as well as independent CD labels. He has played in numerous chamber music concerts, festivals and recitals series. An avid and dedicated teacher he is teaching chamber music at the University of Victoria, British Columbia and the Victoria Conservatory of Music. He is a former faculty member of Sir Wilfrid Laurier University in Waterloo, Ontario and has given master classes at the University of British Columbia in Vancouver, Brandon University, University of Alberta in Edmonton, and Dalhousie University in Nova Scotia. In 1994 he became a faculty member and subsequently from 1999 to 2007 be became the artistic director and conductor or the Courtenay Youth Music Centre in the Comox valley, British Columbia. Born on A kibbutz in Israel, Yariv began studying the violin at the age of eight and turned to the viola when he was sixteen. He studied viola with David Chen at the Rubin Academy of Music in Jerusalem, Daniel Benyamini, principal violist of the Israel Philharmonic and Michael Tree and the Guarneri String Quartet. With an emphasis on chamber music he also studied at the Jerusalem Music Centre with distinguished visiting faculty from around the world including the Isaac Stern, the Amadeus and the Guarneri String Quartets, and many others. He studied conducting under the tutelage of the Hungarian conductor János Sándor, former music director of the Budapest State Opera, the Györ Philharmonic Orchestra and Opera Pecs.